Source: Borrowed Arc, courtesey of Karen from FWIW. Synopsis: Maggie and Caleb just went through the worst year of their lives. Hit by a car and starting life over with a limp, Maggie never thought she would forgive Caleb. But she did-and fell in love. What they shared was real. But Caleb wanted to be free from the past-and a terrible secret: he wasn't the one who hit Maggie. So he left Paradise-and Maggie-forever. When Maggie and Caleb run into each other in a different town, they can't deny their true feelings. Will Maggie let Caleb get away again? Or will Caleb face the truth and return to Paradise? Thoughts: Return To Paradise is the highly anticipated sequel to Simone's 2007 release, Leaving Paradise. Thanks to my friend Tiger, who insisted I check out Perfect Chemistry, I became a huge Simone Elkeles fan. Needless to say, when I heard the sequel to Leaving Paradise releases this year, I couldn't wait to get my hands on it. Fans will not be disappointed. Return To Paradise starts off 8 months after Leaving Paradise ends. Caleb is back in trouble and struggling. He thought leaving home would solve his problems, but trouble seems to follow him where ever he goes. Caught between going back to jail and attending a peer mediation-counseling roadtrip, he chooses the latter. There is no way he wants to end back up in jail. No. Way. You can imagine his surprise when he discovers Maggie is attending the trip as well. I guess no one ever told him the past has a funny way of catching up on you when you least expec it. And now that she's back in his life, he can't deny his feelings for her any longer. Maggie has been waiting for this moment. She waited 8 long months for Caleb to return home and profess his love for her. When he didn't, she decided to move on. A frest start and everything. In fact, after this summer, she'll be spending her first year of college in Spain. But now Caleb is back in her life, and she's more confused than ever. She knows his sister was the one who hit her with a car, but Caleb doesn't know she knows. She wants him to tell her and trust her the way she trusts him. She wants him to go back to Paradise, reunite with his family and make things right. The only thing is, if she pushes him too far, will he runaway again? And if he does, will it goodbye forever this time? I have to tell you, I love books with alternating POVs. When done well, it's fascinating (and addicting) reading how each character not only view one another, but the situation. There's brooding, tortured Caleb and then there's understanding, reliable Maggie. Both need each other and are stronger when together, yet they just can't seem to get it together. The entire time, you'll be on the edge of your seat, thinking "Come on, already!" 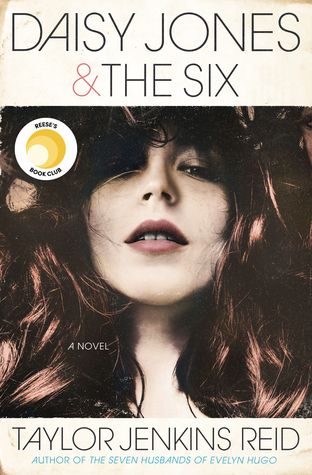 Simone definitely knows how to write a book with sexual tension and complications. Return To Paradise is more than your typical, fluffy young adult book. It's about self discovery, growing up and realizing you have to deal with your problems head on instead of running away from them. Oh, and of course, there's romance. I cannot tell you how much I love reading about Caleb and Maggie's relationship. It's rocky, it's funny, it's sweet, it's awesome. Technically, you can read Return To Paradise without first reading Leaving Paradise, but it won't have the same impact. To get the full experience, you have to read one before the other. While I liked Leaving Paradise more, I still adored and really enjoyed the sequel. It's one of those "Must stay up and finish this, can't stop reading, can't stop to eat, must know what happens next" type of books. My only grievence is the release date. I mean, it should have been released this summer when the fanbase is out of school and ready to read! Don't you agree? I thought so. This September, keep an eye out for Return To Paradise. You don't want to miss it. Tiger got me hooked too! I must not read this, I LOVED Leaving, it's my fav book by Simone I can NOT WAIT for this book to come out...EAK!!! @Jenn- I can't wait till you get your hands on it and read it. Tis good! Great review, I can't wait to read this books! I thought it's going to be set years afterwards, but it's great that it's closer, that way the emotions and memories are fresher! A roadtrip? Oh dear oh dear I can't wait! I love the fact that Caleb's 'secrets' is still prevalent here and that they seem to focus on the same but slightly different issues - very excited for this. Lucky you!